Unfortunately, I am unable to copy the photo I want to feature this week on to the blog. I suppose the photographer, Wing Young Huie, wants strict control over his property. That's cool. So, please follow this link to his "Lake Street USA" project, and click on a thumbnail on the top row -- eighth from the left, third from the right. It should bring you to a photo of a man and baby seeming to share a laugh over a joke just cracked by the baby. It's priceless, and worth the trip. The Wacky World of "Computers"
This is amazing. In the post below this one, my dad mentions David Susskind, so I tried to find a clip from his old talk show, ideally one that included Buckley. I failed. I did discover, though, this gem of a scene from the beginning of a TV special that Susskind hosted in the late '70s. There are about a dozen more clips of the program online, but I don't think I could handle that much entertainment in a short period of time. Maybe I'll watch one a month or something. Near the end of this brief intro, I think Susskind says that computers can "harmonize your wife." Am I wrong? And should I be looking into having people in my life "harmonized"? My most vivid recollection of Buckley goes back to circa ’59-’60. there was a political discussion show on each Sunday night hosted by David Susskind, who would assemble pundits to debate the topics of the day. (It was called Open End; later it became The David Susskind Show.) The cold war was the dominant focus, with other subjects breaking into the usual liberal-conservative debates. As you know, I came down on the latter side and was generally disappointed in the caliber of spokespeople that Susskind rounded up to make the conservative case. On this particular Sunday, Susskind introduced his guests. Representing the liberal view were Arthur Schlesinger, Jr. and John Kenneth Galbraith. Each was teaching at Harvard and they represented the intellectual heft for the prevailing liberalism of the day. Their credentials were impeccable and they were a formidable pair. Schlesinger the historian and Galbraith the economist were capable of brushing off any rival, and I had witnessed their success on far too many occasions. Their opponent on this program wasn't one of the usual political hacks, but a strange-looking young guy with flashing eyes and a darting tongue. I had neither seen nor heard of him before. He was introduced as the former editor of the Yale daily newspaper and the author of a book called God and Man at Yale. He appeared young enough to pass for an undergraduate, and there was no reason to suspect he would be anything but more fodder for the duo from Cambridge. If the Yale-Harvard football game sized up this way, Harvard would have been a 20-point favorite. Then the discussion began. When it was over, it was obvious that people of any political persuasion would not forget the young man with the odd mannerisms and astounding vocabulary who sent even well educated and sophisticated listeners running to their dictionaries. Most impressive, however, was his attitude. The Schlesinger/Galbraith team was often smug to the point of arrogance, but not this time. Buckley was never defensive about his opinions and was on the attack early and often. It was an eye-opener. Conservatism had found a voice that would be heard for the next half century. Buckley was a devout Catholic, and the church influenced his thinking, but he was always more concerned with the pragmatic realities that actually governed the world than with the cultural issues that drive so much of our politics today. If Buckley is right about God, I often wondered why that deity doesn't grant immortality to certain people. Not the Hall of Fame brand of immortality, but the real thing; freeze someone at a particular age and allow the rolling centuries to benefit from their existence. My pantheon for such treatment would include a very select few, and Buckley would be one of them. A: Frankly, there is no one. He was an American original. He had no true predecessor and no plausible heir. A: I was and remain sympathetic with some of his ideas but skeptical about others. No one was better at pointing up the contradictions of liberal orthodoxy — the unstated assumptions, the reflexive equation of liberalism with virtue. "If God created us in his own image we have more than reciprocated." "I'm prepared to believe that the world is big enough for both." 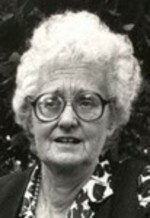 Thanks to my friend JS for recommending an interview in The Believer with Mary Midgley, whom JS thought I would consider a kindred spirit. On the basis of this brief interview, she's right. First of all, I think there's a better than even chance that if I end up living long enough, I might someday look like Midgley. ...there are two ways in which the idea of evolution has been misused. One is the optimistic way, which says it's all getting better and better, and we should go along with it -- that evolution is a sort of escalator which can take us anywhere. This was Lamarck's and Herbert Spencer's view -- it was not Darwin's, but people think that Darwin proved it. He did not. But if we believe this, it produces a belief in progress, which means that whatever we do is better than whatever there was before, and we only want more of it. But the idea that growth -- for instance, economic growth -- is natural and required, is a mythical idea. This can't be right, because things do not grow indefinitely in nature; they grow until they're big enough. She believes that the savage competition in nature has been overemphasized as a metaphor for other areas of life, in lieu of, say, emphasizing the cooperation that was necessary among cells to make organisms in the first place. I should explain that my father was a parson and I was brought up in an Anglican background. I always thought this stuff was all right, but I could never get any impression of God being there. I think it is very puzzling that some do and some don't have this kind of experience, and I'm prepared to believe that the world is big enough for both. I mean, it seems to me if there is anything out there, it's much too big for us to be able to think about it clearly. But I think God obviously is a terribly important human concept and human experience, and it is ludicrous to try to amputate it as if it was some kind of tumor. The visions of the imagination are a crucial and real part of human life, and what is operating there is real. A full-band version can be seen and heard here. As I recently mentioned, I just finished reading Pictures at a Revolution by Mark Harris, which is about the five movies nominated for the Best Picture Oscar in 1967, and how they reflected momentous changes in Hollywood. I'll have a full review of that book up on Pajiba next week. For now, though, it's kick-started a movie book spree. (This has been happening a lot lately, and it's a trend I'm happy about -- I'm currently trying to hold together coalitions of books about William James, Dostoevsky, and movies. At some point, I'll have too many plates in the air -- a terrible metaphor for reading -- but for now it's fun.) So I'm about a hundred pages into Easy Riders, Raging Bulls by Peter Biskind, which starts with Bonnie and Clyde and The Graduate, the moment that Harris expands into his book. When Biskind gets to Easy Rider, you see why one reviewer called the book "that rarity, a Hollywood exposé that you can read mouth agape, slurping up scandal and titillation so fast you're in danger of choking -- without feeling ashamed of yourself." Well, maybe a little ashamed. The book is gossipy before all else. There are great moments when Biskind relates some astoundingly gross or dangerous act of human behavior and adds an asterisk at the end. The asterisk leads you to a note like this one: "Geffen says this never happened." News of a skyscraper that may be a mile tall. Makes me wish I lived in a time when certain forms of human progress were still inspiring, not so gross. . . . The Morning News' Tournament of Books starts up soon. Always fun. . . . There's not a ton I didn't know in Ryan Lizza's piece about John McCain in The New Yorker, but it's worth a read. . . . A few poker tips from a friend. . . . Rejoice: The Hold Steady is wrapping up a new album. Rewind is good fun during scenes of re-filming, when it both sends up the originals and gets across an affection for old-fashioned movie thrills. But everywhere else, it feels like a step backward for Gondry. Eternal Sunshine of the Spotless Mind and The Science of Sleep weren’t commercial blockbusters, but they felt like strong statements of artistic intent. By contrast, Rewind seems undeniably, almost purposefully minor, most charming when it’s least ambitious. Really, though. Can a single person say something interesting, please? Jon Stewart's a great host (always a thankless job), but otherwise the ceremony last night was...nothing. It wasn't even painful. The four hours actually passed pretty quickly, but by sometime this afternoon I won't remember a single moment from them. Oh, and if I never hear another song from Enchanted, I'm fine with that. Honestly. In fact, if there's a way to go back and erase my having heard them in the first place, I'm game, even if it means losing a few other nonessential brain functions. When that noxious Calypso-inflected number by Kristin Chenoweth began, I started rooting for people to throw things at the stage, culminating in a vision of Philip Seymour Hoffman angrily hurling Helen Mirren toward the performers. Thing is, it was a good year for movies. (I have to agree with the curators over at Very Short List that there was a glaring omission among the major nominations.) But I guess good movies don't lead to a good Oscars show. I just got done reading Pictures at a Revolution by Mark Harris, which ends with an extended description of the 1968 ceremony. That night was charged with genuine racial tension, inappropriate jokes about said tension by Bob Hope, and nominees that included Katharine Hepburn, Audrey Hepburn, Warren Beatty, Spencer Tracy, Dustin Hoffman, Paul Newman, Gene Hackman, Anne Bancroft, and Faye Dunaway. I suppose reading about that got my hopes up for this year's version. We had a couple of friends over to watch, and all of us ended up kind of slumped over as if someone had left the gas on. I lost our small betting pool because I stubbornly chose George Clooney over Daniel Day-Lewis for Best Actor. I still argue that Michael Clayton was as underappreciated as a multiply-nominated movie can be. Of the finalists, I think Cheese Problems Solved is my favorite. 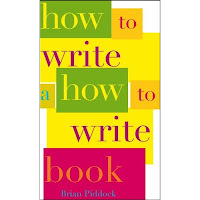 Though How to Write a How to Write Book does promise a certain endless progression of follow-ups that could be fun. Please excuse my relative silence this week. Life's busy. I'll show up here Monday loaded for bear. In the meantime, depending on where you live and what your interests are, I hope you enjoy: the snow, the Oscars, the 85th annual Middlebury College Winter Carnival (five years older than the Oscars! ), midnight bowling at the University of Wisconsin, or the Why St. Augustine? Scholarly Symposium. George Bush made the connection between religious beliefs and the Iraq war explicit, with his childlike claim that freedom was God's gift to humanity and that he was delivering that gift himself by invading Iraq. I need not rehearse here how Bush's invocation of the divine gift of freedom overlooks the Bible, the persistence throughout history of hierarchical societies that have little use for personal autonomy, and the unique, centuries-long struggle in the West to create the institutions of limited government that underwrite our Western idea of freedom. Suffice it to say, the predictable outcome of the Iraq invasion did not convince me that religious belief was a particularly trustworthy ground for political action. It’s likely that Sweet’s Girlfriend will be the only record of his that enjoys a lasting reputation, but that’s a shame. Not only does 100% Fun have similarly high peaks, but even Altered Beast, the lackluster follow-up to Girlfriend, had a few really good songs. This is one of them. The closing track on the band’s just-released Heretic Pride. John Darnielle has a thing for titles (“Lovecraft in Brooklyn” and “How to Embrace a Swamp Creature” are other standout songs on this album). The title track off Edwards’ forthcoming CD (early March). I thought her last, Back to Me, was a sophomore slump, but this new one is a return to form, and maybe the most consistent of her three releases. Off of Moon Beams, an album I’ve been enjoying the past few days (well, past few nights; this is mellow music), but again, I don’t know if liking this makes me a jazz Neanderthal or not. I could really use some kind of guide charting the phases of man and the appeal of certain jazz musicians. Today's song is a gem from the '90s that I hope people aren't forgetting: "Tom Boy" by Bettie Serveert. The clip below is from 1995 at Pinkpop, a festival in the Netherlands. Turns out, when you search for "Pinkpop" on YouTube, there are literally thousands of high-quality clips (though a disconcerting number of them feature Evanescence). There's Pearl Jam tearing through "Porch" in 1992, R.E.M. doing "World Leader Pretend" in 1989, and Radiohead ending a set with "How to Disappear Completely." I liked Juno, more than I thought I would. In a strong year for movies, I don't think it should be a Best Picture nominee, but it was enjoyable. One irritating theme in coverage of the movie, though, has been how real the title character is. NPR said that Juno "comes across like a real kid, the type seen in high schools but not often in the movies." Ellen Page, the actress who plays Juno, has said herself on numerous occasions that the authenticity of the character is what led her to it. I thought Page was affecting, but the movie (and her performance) greatly benefited from the second half's increased focus on other characters. That's because Juno, as written, is a bit ridiculous. Since we're only sixteen for one short year of our lives it's easy to forget what the experience was truly like, but having spent the better part of the past seven years with them, I know of sixteen-year-old girls. And not just in a classroom; I've logged plenty of hours with them in their natural state. I've wandered through myriad cities with them, stayed in hotels with them, endured day-long bus trips and airplane flights with them, played games, watched movies, gone shopping and gossiped with them, and counseled them on every imaginable aspect of their drama-filled lives. I know them. And not just for one year - I see sixteen-year-olds every year. They may forget what they were like, but on my end there's a revolving door of them to serve as a constant reminder. From where I stand, rather than creating a truly believable protagonist, Diablo Cody created the sixteen-year-old girl we all wish we could have been - one who is sharp, composed, rational, witty, independent and in control. But you know what? That's not real. At least, not to be all these things at such a young, awkward age. In the character of Juno, Cody created the girl we all wished we could have been; however, this girl is, unfortunately, a fantasy, and no matter how hard I tried I just couldn't get past that. Let me ask you: What is more of a sound bite than Clinton's last sentence? This is the problem for her. Everyone uses sound bites. It's a matter of whose work better. That's being answered pretty overwhelmingly at the moment. And all of her nonsense about being more prepared to lead is sounding more hollow every day as she can't even campaign strongly enough to win her own party's nomination. All she has left to differentiate herself are the two arguments that hold up least to scrutiny: That she's more experienced, and a better leader. You think Tarantino had guts to cast John Travolta as a reclamation project in Pulp Fiction? That's nothing. David Mamet is taking on Tim Allen. At least Travolta had past glory to reclaim. Is this some kind of sick brinksmanship between directors now? What's next, Ang Lee casting Pauly Shore? In last month’s issue of Harper’s, Arthur Krystal wrote a review about books of aphorisms. It was good (I generally like Krystal’s work), but there was something inherently unsatisfying about it. If, as it’s been famously said, writing about music is like dancing about architecture, then writing an essay about aphorisms is like...performing a ballet about breakdancing. 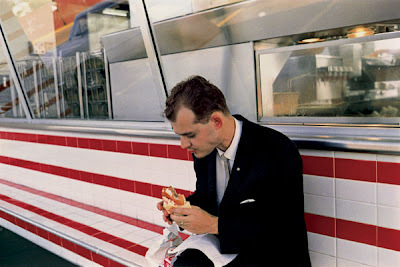 The longer essay, no matter how good, just leaves you hungry for the sharper crack of the shorter form. Luckily, Krystal did the best thing he could in the circumstance, which is direct readers to good sources. He claimed that the Oxford Book of Aphorisms, edited by John Gross, “continues to be the best anthology of its kind.” A couple of clicks on Amazon and a not-so-patient week or so of waiting later, I had my copy. And though Gertrude Stein made the aphoristic argument that “Remarks are not literature,” the book tells a different story. It cleverly begins with André Gide claiming that, “Everything has been said before, but since nobody listens we have to keep going back and beginning all over again.” When it comes to aphorisms, he might have added that we continually condense things in hopes of making them easier to remember. It’s 365 pages of similar quality, and I think every decent personal library should have a copy. Mine will provide fodder for a new feature around here -- the Aphorism of the Week. Keep your eyes peeled. "You're in it, too, you sausage-maker! You, too, claim that she 'vas shtealing,' you vile Prussian chicken-leg in a crinoline!" Q: Do you realize that listening to Explosions in the Sky, the band that does most of "Friday Night Lights" music, can make any normal experience epic? I walked my dog [while] wearing headphones and listening to them, and by the end of the walk, I felt as if I had experienced something truly life-altering. I am currently trying to apply the "Explosions Theory" to many other aspects of my life, such as showering, vacuuming and doing laundry. SG: Couldn't agree more. I wish there was a way to pump that music into every bathroom in my house. I'm also amazed none of the presidential candidates has used Explosions in the Sky for their campaign. You could show me a 30-second ad of John McCain trying to pass out a kidney stone to that music and I'd probably want to vote for him afterward. If blogs benefit from strong opinions and an indefatigable desire to express them, then no one is better suited for a blog than my friend Dezmond (not his real name). Now, he has one. Christened after a scene from his favorite movie, Jaws, it's called Gonna Need a Bigger Boat. I always liked "O My God" by The Police, but that is definitely not a spiritual uplifter. A perfect example of Sting hubris, though. He is lonely in his life, and demands to God that He fill Sting's life with meaning by bringing him a good piece of tail. Ha Ha!! You have now opened the door! I was awaiting some sort of Best of 2005 posting, so then I could give you my own purely objective best of lists for the year as well. Following that he posted three separate comments totaling 1,700 words. I would write a longer post about Dezmond and his truly extraordinary ways, but it would be much longer. Perhaps I'll save it for the day of his blog's first anniversary. You know, let's make him prove it. Like so many classic horror films from the era, Night of the Living Dead was a back-up plan. When Romero couldn't get funding for Whine of the Fawn, a "Bergmanesque" coming-of-age film set in the Dark Ages, he tried something more commercial. "We didn't know anyone who had any horses, so a Western was out," says the producer Russ Streiner. "And we didn't live by the water, so we couldn't do a beach movie. That left horror." "It looked like someone stole a camera and started killing people," says (Wes) Craven, who saw it in a grimy Times Square theater. "It had a wild, feral energy that I had never seen before, with none of the cultural Band-Aids that soften things. It wasn't nice, not nice at all. I was scared shitless." If it looked like a snuff film, that was partly because the actors were genuinely miserable. They worked 16-hour days in the boiling heat of central Texas in July and August and spent much of the time covered in fake blood (Karo corn syrup) and real bruises. 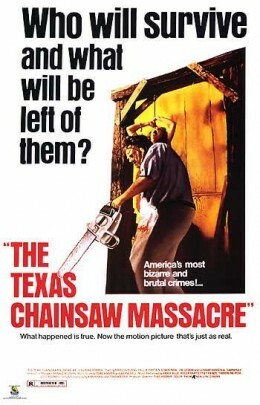 "Let me put it to you gently," says Edwin Neal, a Vietnam veteran who played Leatherface's maniacal brother. "I moved troops through the jungles of Vietnam, and it wasn't as bad as making this film." The piece isn't available online, so I strongly recommend you pick up the magazine when it hits your area (I think it's out a little early in New York). It's the Hollywood Issue, so you have to get through, without exaggeration, about 200 pages of ads before the magazine properly begins, but it's worth it. Just now, I had MSNBC on in the background, and I heard President Bush, who's giving a speech about Black History Month, welcoming his guests. He thanked Al Sharpton and his wife for being there, and someone shouted that it was actually Sharpton's daughter. "Daughter!" said Bush. "Daughter." Then after a moment of soaking in the embarrassment with a sheepish look on his face, Bush looked toward Sharpton and said, "I don't get 'em right all the time." Whiskeytown's Strangers Almanac was one of the best records of the 1990s, and on March 4th, it's being re-released with a bonus disc of material that sounds pretty great -- including a cover of Fleetwood Mac's "Dreams." 1. Ryan Adams is not cursing at the "frat boys" in the audience. 2. Half the crowd isn't leaving because they feel offended. 3. The crowd is not throwing glass bottles at Adams, and he is not returning the favor by indiscriminately throwing a couple back himself. In short, consumers and patients may be in for a Pandora’s box of exasperating, drawn out public debates over suicide risk, if not lurid court cases — with little chance of a clear, satisfying resolution. The reason is simple: Suicide is an intimate, often impulsive decision that has defied scientific understanding, just as it has confounded easy explanation throughout history, or in literature. Researchers can count the bodies, all right, and they have confirmed what people already suspected about suicide, that it is associated with depression, alcoholism, and other habits or disorders that leave people miserable. But the act itself is so rare — 1 in 10,000 — that a series of drug trials cannot pick up enough cases to allow for adequate analysis. Back in October 2007, Clinton was beating Obama in Maine by a hilarious 47 to 10 margin, but it seems he's carried the state today, once again by a large margin. My understanding, though, is that this doesn't really count because it's a small state, much as Utah doesn't count because there aren't many Democrats there, DC doesn't count because there are too many black people, Washington doesn't count because it's a caucus, Illinois doesn't count because Obama represents it in the Senate even though Hillary was born there, Hawaii won't count because Obama was born there. I'm not sure why Delaware and Connecticut don't count, but they definitely don't. Realistically, Clinton seems to have difficulty winning anywhere she can't mobilize racial polarization in her favor. Obama has, of course, deployed polarization to his benefit in a number of states (South Carolina, Georgia, Alabama, and Louisiana most notably) but he's also dominated the states with very few black voters. UPDATE: I forgot about Missouri. Obama's win in Missouri, of course, doesn't count because the state was called too late. I'm not going to count out my former home state of Texas for the Illinois senator just yet, either, because I had a conversation yesterday with a friend there who said several Republican friends of his were thinking of voting for Obama in their primary. They'll likely vote for McCain in the fall, but they like Obama so much more than Clinton that they feel motivated. They could stomach losing the White House to Obama (in fact, my friend says a part of him is rooting for him). If Obama can sweep Tuesday's primaries, which is expected, I like how this shapes up. Either a continued barnburner -- or, with a comeback win for Obama in any one or more of Ohio, Pennsylvania, and Texas, a serious blow to Clinton's chances, pardon the expression. From the perch of his blog empire in the wilds of Ithaca, New York, my buddy Dustin has issued a call for me to clarify something about my support for Barack Obama. As the clever headline of his post asks, "Yes. We. Can. ... What?" He quotes James Walcott, who finds himself "increasingly wary of and resistant to the salvational fervor of the Obama campaign, the idealistic zeal divorced from any particular policy or cause and chariot-driven by pure euphoria." This is part of what Andrew Sullivan accurately calls a "developing meme" that "support for Obama is all emotion, fantasy, hysteria, etc." And I'll start this post with a slight criticism of Obama, since I'm sure many of you will find that refreshing from me. Yes, he's threatening to get carried away lately with the soaring rhetoric. I first noticed him (and wanted him to run for president) at the 2004 Democratic convention, and what grabbed my attention was not just the inspiration of his style (though there was that) but the seeming reasonableness of him. He immediately struck me as motivational, intellectual, and personally grounded -- a combination I've yet to see in another politician in my life. I think that candidates are always tempted to overuse what's working best for them during a campaign because...well, because it's working, and campaigns are brutal. So, do I wish he would start to move back toward a better balance of reasonableness and revival-like passion? Absolutely. For now, I'll find those traits of his separately and put them together myself -- a political "mash-up" for those youngsters who are reading. The passion is easy enough to find; the reasonableness is on display in a clip I linked to a few days back, of Obama speaking to the editors of the San Francisco Chronicle, and elsewhere. From the backseats of freezing cars and vans you're hustled into overheated coffee shops and those packed school gymnasiums with the stink rising to the rafters and then the oppressive hush of corporate meeting rooms ... You open your mouth and you release the same cloud of words you recited yesterday and the day before. And in the Q&A, when you stop to listen, you hear the same questions and complaints from yesterday, the same mewling and blame-shifting, all imploring you to do the impossible and through some undefined action make the lives of these unhappy citizens somehow edifying, uplifting, and worth living. And you always promise you will do that; you have no choice but to tell this kind of lie. This applies even to candidates who I think do their best to rise above, like Obama. So I'll end this long preface by saying that I'm not particularly interested in defending campaign tactics, though I'd rather my candidate press a vaguely motivational button too often than engage in a series of dishonest smears of her opponent. So, I can understand why others are bothered by the sometimes messianic zeal of Obama's followers. After all, I don't think politics can save us. But I certainly think our politics need to be saved. This is why Obama's tone remains his greatest appeal. (I'll get to policy in a second; sorry for the circuitous route, Dustin.) Plain and simple, replacing George W. Bush with Hillary Clinton is to replace one astoundingly polarizing figure with another. It replaces one corrupt dynasty with another. (This leaves aside the fact -- not a small one -- that I still don't think she can win a general election.) And it passes over the massive grassroots support that Obama has built in favor of a campaign far more reliant on insiders and a power of name recognition not very different from that employed by Kleenex or Pizza Hut. But let's move slowly toward policy. I'm a pretty cynical person, so if it were just a matter of sending Hillary to Washington so she could bloody the Republicans and do God's work, I'd be fine with that. Here's where I get truly mystified. Lawrence Lessig, in a recent long but worthwhile speech, discussed "a certain kind of moral courage." And he was kind to say that we "can't really know" if Hillary would follow Bill's lead in this department. But he rightfully brings up that both Clintons (Bill when it came to gays in the military and numerous other issues, Hillary when it came to the war) have been motivated by "expedience," rather than "standing and fighting on the basis of principle." As president, Obama would no doubt run into obstacles and not get everything he desired done. But I trust him to fight for the right thing, and not to triangulate and routinely betray his supporters. I think the idea that Hillary Clinton would successfully push a certain agenda on principle flies in the face of everything we know about her and her husband, especially after this campaign. Let's take something wonkier: Health care. Both candidates have very detailed plans. There's a camp of people -- perhaps you're among them, Dustin? -- who believe that Obama doesn't have details because Hillary talks about them more in her speeches. To this I have two responses: 1. Based just on her speeches, do you really find a ton of detail in Hillary's plans? To me, it's the same vague boilerplate repeated over and over again -- the policy equivalent of Obama's more feel-good repetitions. 2. Her focus on these vague (and sometimes unrealistic) details is why her speeches are duller than death. But there is a difference (one of the few between them, when it comes to policy), and that is Obama's reluctance to make health care insurance mandatory. Hillary wants to force everyone to pay for it. As far as I know, this might make for a better system. But in addition to sounding painfully difficult to enforce, I still have enough of a libertarian streak in me to think it sounds on the fascist side in its coercion. It also reflects a larger difference I sense in them, which is that Obama is not nearly as power-hungry as she is. I can picture him a couple of weeks after losing a presidential election. She, on the other hand, disappears from the screen. But sometimes elections -- if they're between candidates who aren't radically opposed -- really aren't about policy. I especially feel this way about someone like Clinton, who has yet to tell me there's a single tough decision to be made about her dream plans, as if they will be smoothly enacted on her favorite day, "day one." Sometimes elections should be about vaguer notions -- this country's built on a few of them, and their vagueness doesn't mitigate their power. We're looking for someone to lead us, after all. If Hillary Clinton's grim view of political trench warfare was the only good option for Democrats this year, I could understand her being nominated, though I wouldn't vote for her. But with Obama available as an option -- someone with similar positions and a broad, bipartisan base of good will directed at him -- I just can't wrap my head around it. I'm not saying that as an apostle, I swear to Obama. Maud Newton with a thoughtful take on the truths (and exaggerations) of the North-South divide in publishing and elsewhere. . . . I've caught heat from readers for admitting to being a "Project Runway" watcher, but it turns out Jon Stewart is a fan, and I assume that's a point in my favor. Anyway, this is an interview with the always eloquent (and here, remarkably candid) Tim Gunn. . . . I laughed often at this clip of "Garth Marenghi," a writer who had escaped my attention until now. "What do you think?" Razumikhin shouted, raising his voice even more. "You think it's because they're lying? Nonsense! I like it when people lie! Lying is man's only privilege over all other organisms. If you lie -- you get to the truth! Lying is what makes me a man. Not one truth has ever been reached without first lying fourteen times or so, maybe a hundred and fourteen, and that's honorable in its way; well, but we can't even lie with our own minds! Lie to me, but in your own way, and I'll kiss you for it. Lying in one's own way is almost better than telling the truth in someone else's way; in the first case you're a man, and in the second -- no better than a bird! The truth won't go away, but life can be nailed shut; there are examples. Well, so where are we all now? With regard to science, development, thought, invention, ideals, aspirations, liberalism, reason, experience, and everything, everything, everything, we're all, without exception, still sitting in the first grade! We like getting by on other people's reason -- we've acquired a taste for it! Right? Am I right?" Razumikhin shouted, shaking and squeezing both ladies' hands. "Am I right?" 1. "After the events of the 20th century, God, quite reasonably, left Europe. But He's still here in the United States. The majority of Americans are Christians, and Christians can be divided into two kinds, the kind who think you should get Jesus and the kind who think Jesus is going to get you." 2. "Being a Republican, I'm backing Hillary Clinton. Because she could lose. The reason is not that she's a woman. The reason is that she's the particular woman who taught the 4th grade class that every man in America wished he were dead in." I thought about subscribing to both The Nation and The Weekly Standard this year, to get a stereophonic take on American politics in an election year. The Weekly Standard defends W. at nearly every turn, and bravely argues that what we need in the Middle East is the willingness to lose a lot more lives if necessary, like Lincoln had in the Civil War. The Nation subscribers would sleep with a gun under the pillow in case the Religious Right breaks into the house overnight, except they don't believe in owning firearms. The fact is, I think two weeks of reading both of them would damage internal organs, so I've ditched the idea. (Thompson's views) might have earned another candidate a reputation for "straight talk"--maybe even the title of "maverick." But Thompson was more subversive than that; he was an existential maverick, and his campaign was an implicit rebuke to the system in its entirety. He was a man out of his time. With its reduced metabolism and procedural modesty, his campaign still might have served as an illustration of what politics once was like and--if we have the audacity to hope--might be again. After all, by the standards of a century ago, Thompson was a whirligig. Political campaigns have always been boisterous affairs, but candidates themselves rarely took center stage till well into the 20th century. The first presidential candidate even to make an appearance on his own behalf was William Henry Harrison in 1840. When he showed up in Columbus, Ohio, to give a speech extolling his (exceedingly thin) record, the political world was scandalized. An opposition paper, the Democratic Globe, counted his uses of the pronoun "I"--there were 81 of them in his text--and pronounced the speech "a prodigy of garrulous egotism." The Cleveland Adviser, a nonpartisan paper, asked: "When was there ever before such a spectacle as a candidate for the Presidency, traversing the country advocating his own claims for that high and responsible station? Never!" "The precedent thus set by Harrison," concluded the Adviser's editorialist, "appears to us a bad one." Look, I know that Hillary Clinton is receiving as many votes as Barack Obama. But there just seems to be a chasm in the enthusiasm department. Clinton, who obviously has some high-roller supporters, had to lend herself $5 million of her own money in January. Meanwhile, Obama, whose donors presumably contribute smaller amounts on average, has raised nearly $6 million since the polls closed last night. If you'll pardon me, I'm going to go contribute again. See you tomorrow. I got out some of my stress by shouting a pizza delivery cyclist off the sidewalk, and then by shouting at a motorist making a left-hand turn who almost took out a whole swath of pedestrians. As soon as my feet hit the base of the 59th Street Bridge, it started to rain, and I tucked my ipod into the torso strap of my sports bra, under my arm, having already lost one ipod to water damage from a rainy run. By the time I trotted off the bridge and my foot touched the sidewalk in Queens Plaza, the rain had stopped, making it seem like I’d passed through some sort of cleansing passage as I moved from one borough to another, from one island to another. "I live in a giant bucket." In this month's Believer, there's an interview with animator Don Hertzfeldt. He doesn't say anything particularly earth-shattering, but there is a great moment when the interviewer, Mike Plante, says that Hertzfeldt was once so worried about some drawings that he purchased a fireproof safe for them. Soon after, he bought a bigger safe and put the original safe in it. This week's musical clip is courtesy of my friend Lewis, who reminded me of its existence. The story goes that Bruce Springsteen, on tour in Copenhagen, came upon a busker performing his songs and decided to join him. This is the two of them doing "The River." Two things to consider: 1. Is it possible that the busker has had a better day in his life? He actually sings pretty good back-up, too. 2. How greedy are rock fans? At the end, when it's clear Bruce is going to stick around and do another, someone starts shouting for "Born to Run." It's not good enough that they get to see Bruce Springsteen on the street. They need to scream a request. Awesome. Here's Springsteen doing "The River" when he was much younger. Here's a version from the Born in the USA days. Here's Josh Ritter covering it in someone's living room. And here's Ben Stiller counting like the Boss, and recounting a "legend" not unlike the street scene above. I'm a little ashamed to be a New Yorker today, since Hillary Clinton won every county in the state. Luckily, Midwesterners and many other sensible Americans turned out for Obama. The primaries this Saturday and next Tuesday loom large. I think the longer this goes, the better chance Obama has, but it's obvious that Clinton's supporters are digging in. Many are saying that it takes more than talk to lead, as if that's all Obama has to offer. But talk is part of it, and good lord, Clinton bored me to tears again last night. Her constantly changing mannerisms -- last night's pointing to people in the crowd before her speech -- are the hallmark of an insecure shape-shifter. I always think back to that New Hampshire speech, in which she, a 60-year-old woman, said she had finally found her voice. Meaning, she had found the voice that certain voters wanted her to have. How stirring. It's the people who are to blame, though, as usual. Of voters who said "experience" was their most important issue, 91% voted for Clinton, meaning that a vast majority are buying into Clinton's nonsensical argument that she's significantly more experienced than Obama. The one benefit to a Clinton nomination would be watching her try to peddle her experience argument against John McCain. But that's getting ahead of ourselves. This is far from over. You can listen to R.E.M. 's "Supernatural Superserious" below (thanks to Pitchfork). Sounds mostly like a return to form -- including Mike Mills' backing vocals, which have been painfully absent from recent records. It seems like Accelerate might be closest to New Adventures in Hi-Fi in its overall sound, and that would be just fine. He runs the cramped place (which looks every one of its 32 years, and then some) with his family; he swears at customers who don't know the strict rules (like, "no parties of more than four"); he compares the problem of pest control -- in more than the obvious way -- to the problem of terrorism. The director, Matt Mahurin, mostly works in music video (he directed the clips for "With or Without You" and "Orange Crush," among others). It's not surprising that he came up with the idea while a regular customer at the restaurant, because it's inconceivable that Shopsin would have allowed anyone but a loyal patron such access. The movie's aesthetic couldn't be further removed from gauzy tracking shots of Bono. The camera is always on top of Kenny, and you often see a microphone that Mahurin is holding up from behind the camera. They’re all decent people who treat other human beings with respect, even people that don’t deserve it, which is the big demarcation point, I think, in human behavior. If you treat people with respect who don’t deserve it, it’s a mark of high civilization. Because you never know who’s only temporarily deserving of bad behavior, so you try to treat everybody with a morality that makes you a good person, not whether or not they deserve to be treated well. And I feel, really, much more comfortable with those people. Right after this heartfelt speech, he shouts at someone -- it's possible that it's a baby -- to shut the f*** up. It's a hilarious moment that I wouldn't have spoiled if there weren't a dozen others just as funny. Regrets are like children; you don’t really know if you want to have them until it’s too late to do anything about it. Norm Geras has posted the results of his favorite English-language novelists poll. Jane Austen and Charles Dickens lead the pack by a wide margin. Stupidly, I read Norm's initial request as living English-language novelists, so neither Jane nor Charles received my vote. Of those breathing writers I listed, three made the top 40: Ian McEwan, Cormac McCarthy, and Martin Amis. Interesting series of posts over at Andrew Sullivan. In the first, Sullivan implies that Orwell "dismissed Gandhi's pacifism as idiotic," but wonders if the method deserves reappraisal. In the second, a reader writes in to give Gandhi props, but thinks the weakened British Empire makes the example less than perfectly useful for other situations. Lastly, a reader writes in to correct the record about Orwell's opinion. If you find yourself drawn to the Clinton candidacy, you likely believe that politics is politics, that partisanship isn’t transmutable, that Republicans are for the most part irredeemable. You suspect that talk of transcendence amounts to humming “Kumbaya” past the graveyard. ... If you find yourself swept up in Obamamania, on the other hand, you regard this assessment as sad, defeatist, as a kind of capitulation. You’re perfectly aware that politics is often a dirty business. But you believe it could be a bit cleaner, a bit nobler, a bit more sustaining. You think that paradigm shifts can happen, that the system can be rebooted. Most of all, an attraction to Obama indicates you are, on some level, a romantic. You never had your JFK, your MLK, and you desperately crave one: What you want is to fall in love. There’s certainly something to this. It’s true that I’m more romantic than some of my friends who are still leaning toward (or at least willing to consider) Hillary. But I also think this clever summary doesn’t do enough rigorous thinking about the key difference upon which Heilemann bases his piece -- the difference between the candidates' "worldviews." (Obama) believes that, as he often says, “we can disagree without being disagreeable.” He’s convinced that unity is attainable through the right kind of leadership: his. Clinton doesn’t say so quite this bluntly, but she manifestly considers Obama’s outlook woefully naïve. Her view of the culture of Washington is darker, and of transforming it, more skeptical. And while she prefers to speak of achieving change through hard work—to paint herself as the candidate of perspiration as opposed to inspiration—at bottom she conceives of politics as an endless series of skirmishes. Despite the impression I may have given in past posts, I think Hillary Clinton is brilliant. She’s forgotten more about policy than many lifetime politicians will ever know. And to her credit, her aspect is much sharper and more pragmatic than the soft, creepy tones with which Bill promises to feel people’s pain. But time and again -- even as Obama piles up endorsements from “red state” Democrats, and is spoken highly of by Republican colleagues -- Clinton trumpets her merciless combativeness as her greatest strength. But I believe part of the reason this country is so close to 50-50 in so many major elections is because all people have is their party. Uninspired candidates who don’t even attempt to transcend party have been the norm as long as I’ve been of voting age (which hasn’t been tremendously long, I admit, but neither am I a young idealist besotted with Obama). But Hillary Clinton doesn't just decline to attempt transcending party, she insists we cannot. Her argument, as I see it, is that cynicism is productive. But hard experience would tell me that cynicism is only ever enervating in the long run. There’s a reason voter turnout is at an all-time high on the Democrats’ side -- many people are not just supportive of Barack Obama, they are excited by him. And excitement tends to spur action. Energy creates results, while cynicism might satisfyingly feed self-righteousness in true believers, but it creates deep apathy in anyone not interested in either side’s Kool-Aid. I suppose this is the last I'll say on the subject until the Super Tuesday results are in. Happy voting, everybody. Can we please call for -- no, insist on -- a moratorium for what has to be the dumbest trend in sports reporting (and that's saying something)? It's the trend of getting a player to predict that his team will win, and then acting like the player has set an orphanage on fire. It happened with Giants wide receiver Plaxico Burress this week, who had the gall to suggest his team will win the Super Bowl. Such statements are treated as "controversial" for several reasons, including the fact that it will serve as motivation for the other team. See, it's not good for the other team to catch wind that their opponent expects to win. Giuliani concedes. The bit of the speech I saw was classy. Like most New Yorkers, I kind of think he's a maniac, but I was touched. "Labor of Love" and "The Course of Love"
"Lite beer is not the great leap forward."